Don’t be surprised by the vertigo you feel when you look at the new creative team for Green Arrow #48. What’s real? Where’s Ollie? Who’s Canary? 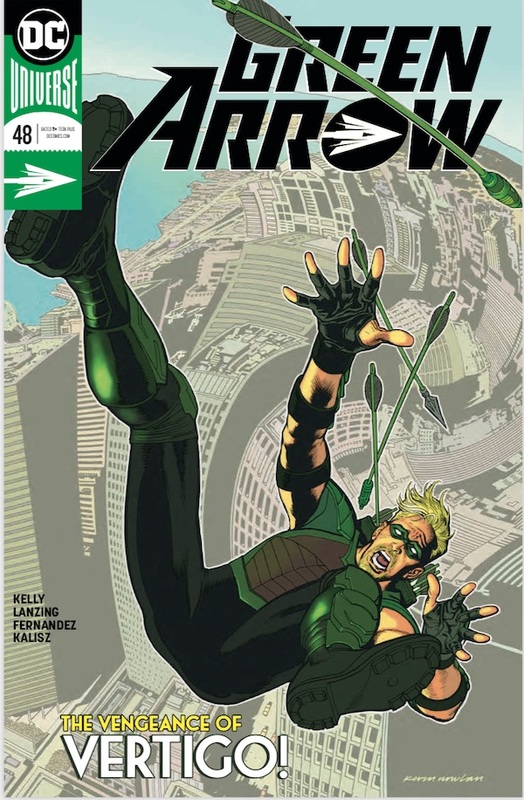 We kid, and we all know that Green Arrow is firmly planted in the verdant city of Seattle, with his partner-in-scream Black Canary taking this city-saving business really seriously this time! Lanzing and Kelly take over writing the title from the explosive Benson and Benson team which ended with our heroes jetting skyward in his very own Arrow-Wing!